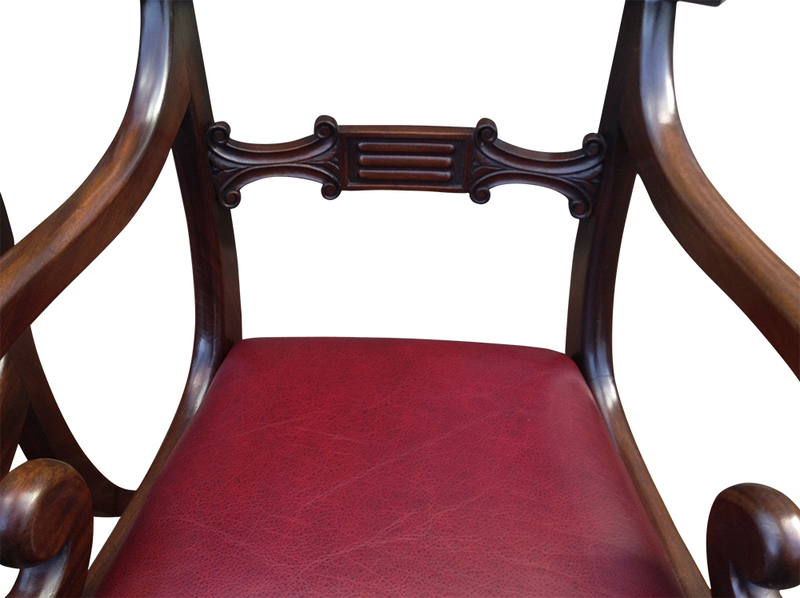 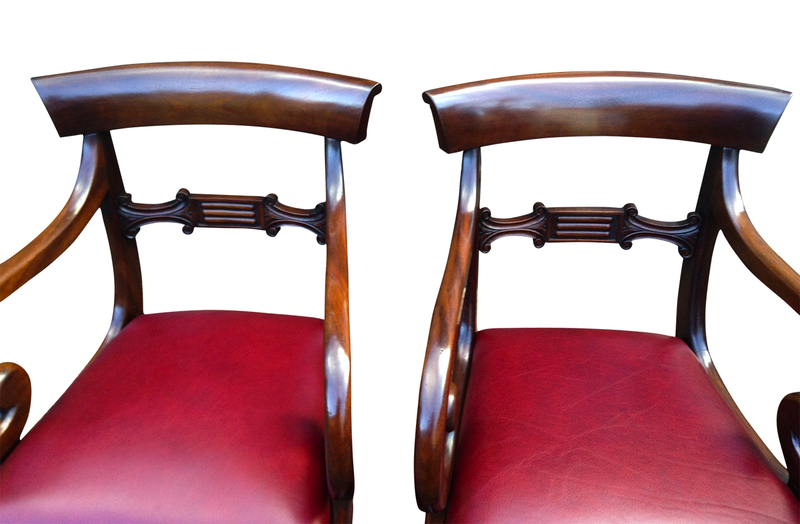 A very good quality pair of antique George 1V open armchairs made from well-figured mahogany timbers. 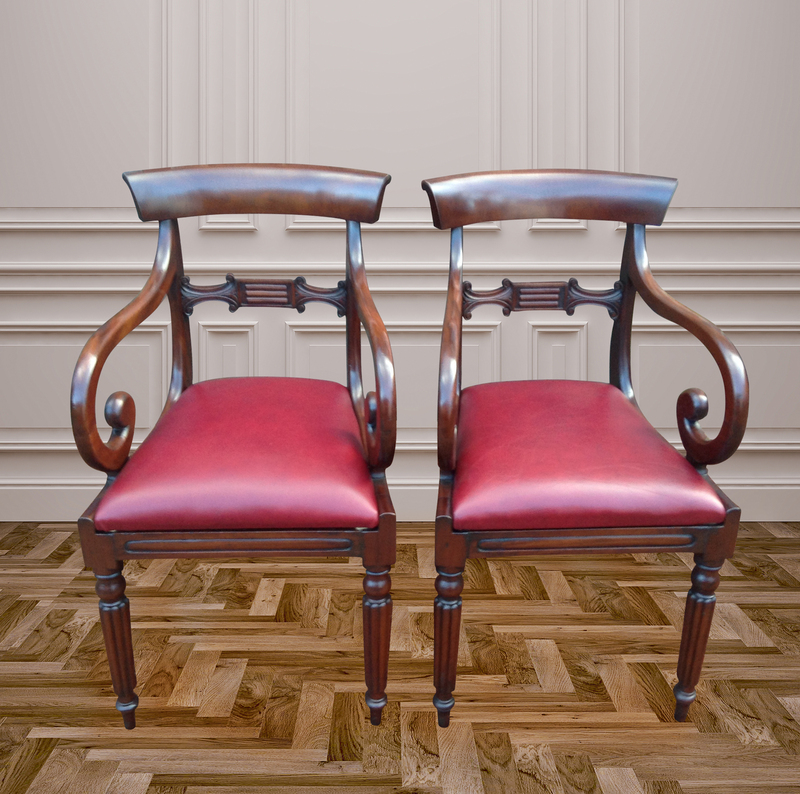 The chairs have a carved central splat with generous scrolling arms and padded drop-in seats recently upholstered in burgundy hide. 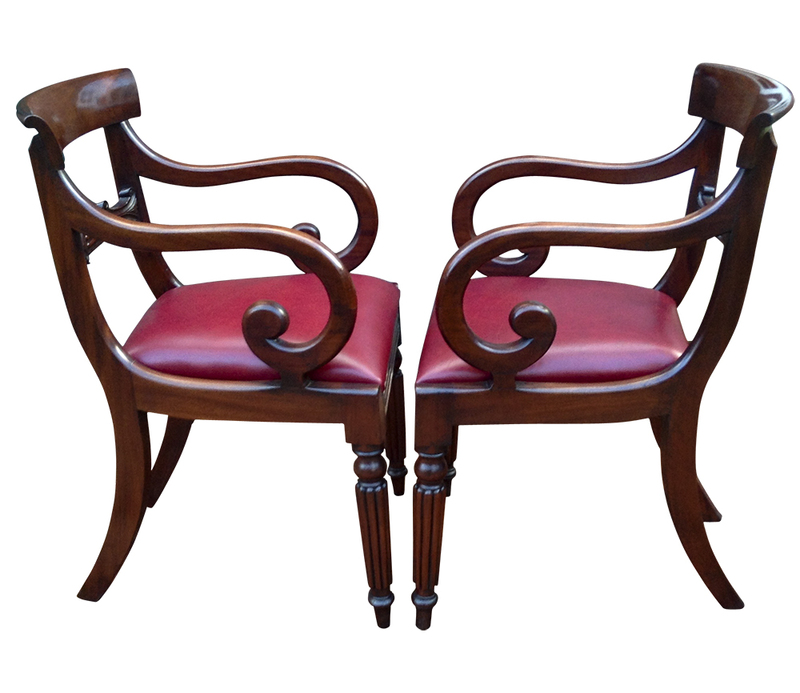 A very good quality pair of antique George 1V open armchairs made from well-figured mahogany timbers. 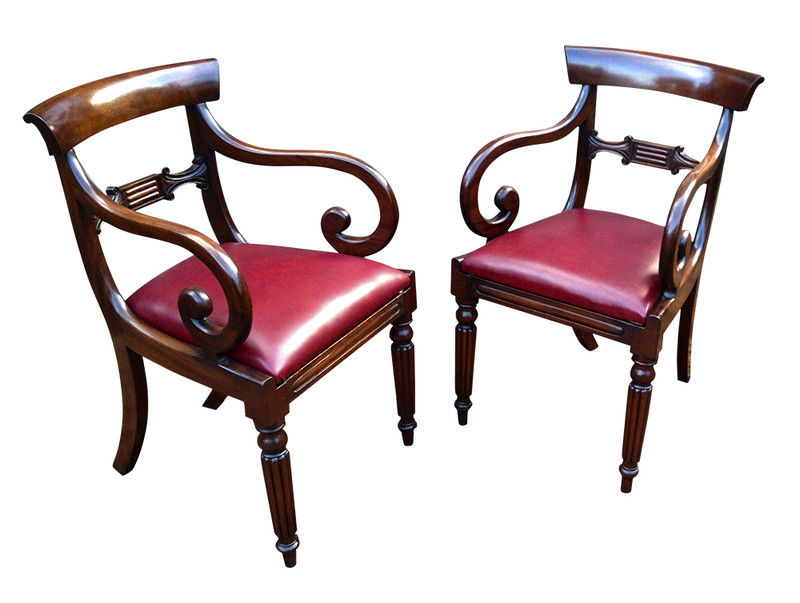 The chairs have a carved central splat with generous scrolling arms and padded drop-in seats recently upholstered in burgundy hide. 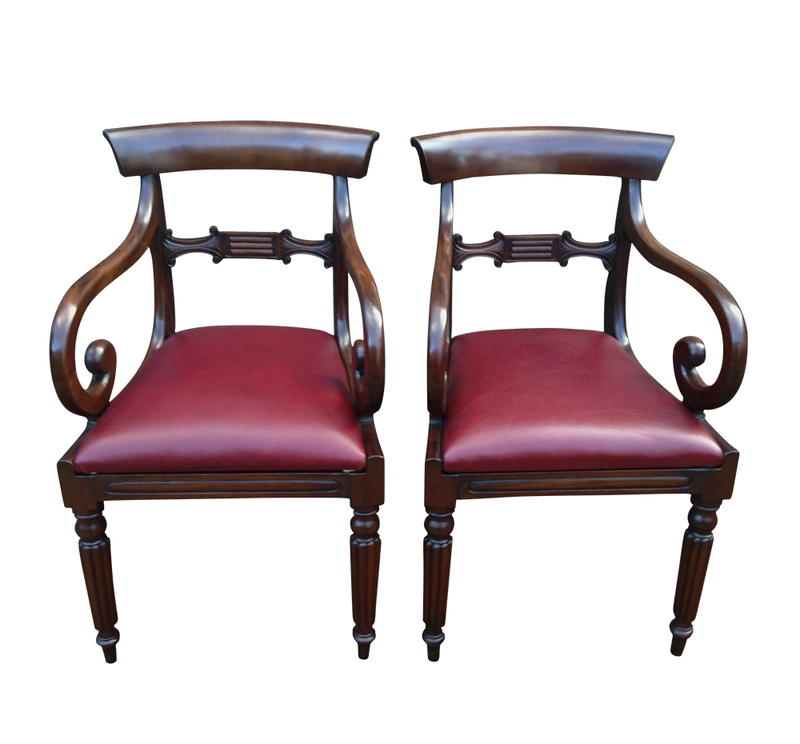 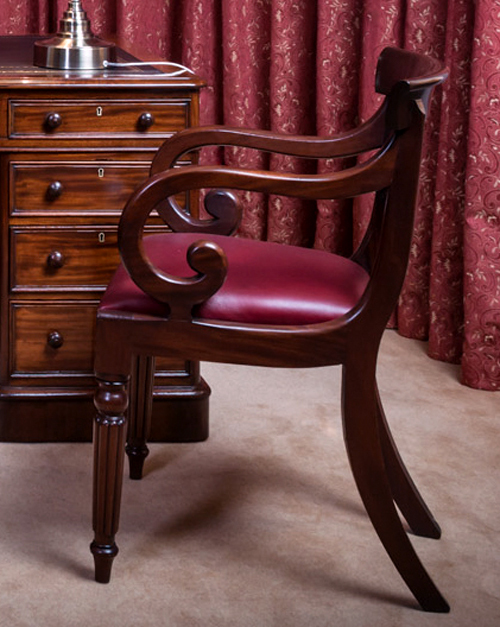 These elegant antique chairs would make ideal desk chairs for an antique partners desk. 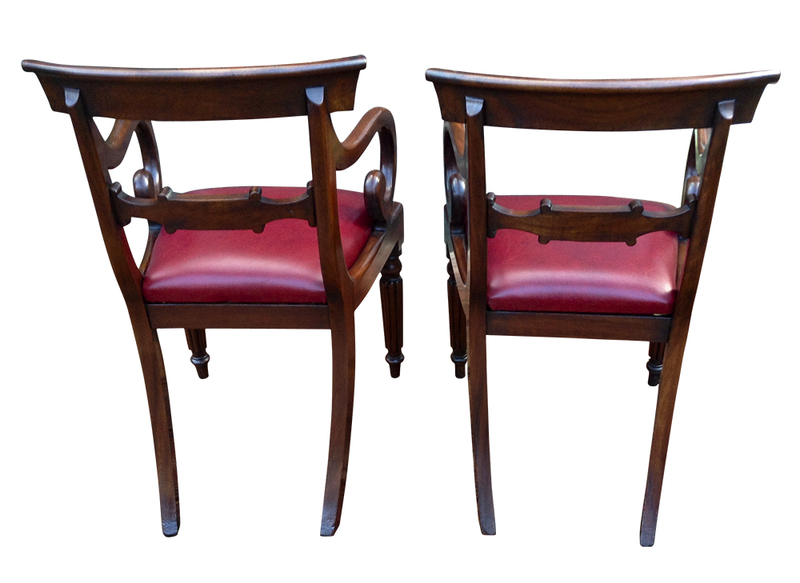 They could also of course also be used as occasional chairs.